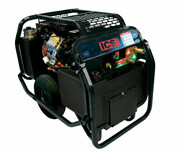 18 Horsepower multiflow hydraulic power pack with auto throttle and electric start. 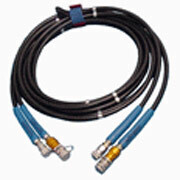 Twenty Five Foot x 1/2 Inch Hydraulic Hose Set. Two way flow with 1/2 Inch Flush-Face Quick Disconnects in the "Parker" Style.